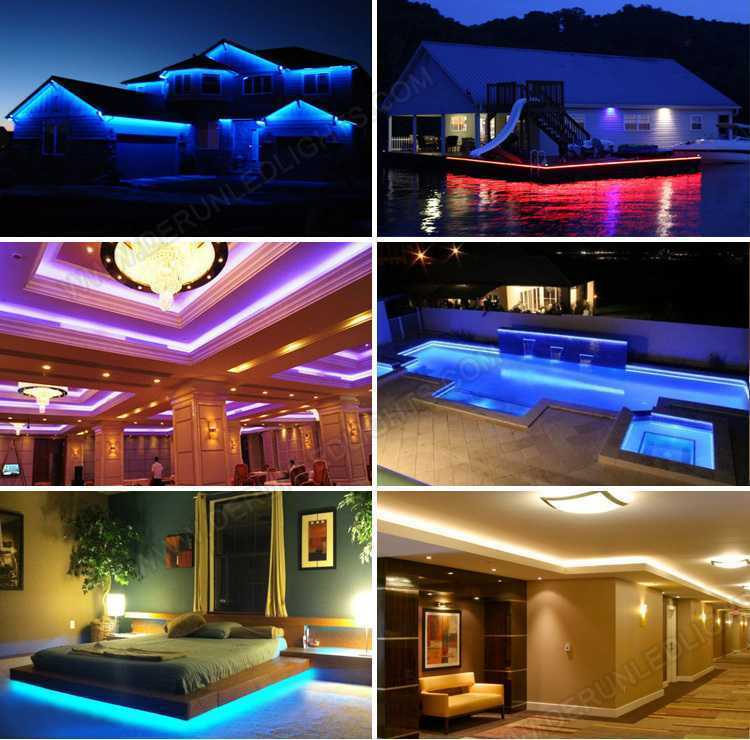 LED Strip and Waterproof Tech. 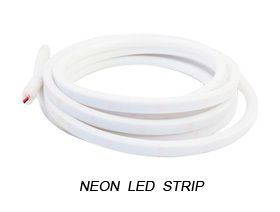 5050 300leds IP65 Epoxy Covering Flexible LED Strip with 3M tape on the back. Every 3leds is cuttable. White and yellow pcb board is for your choice. 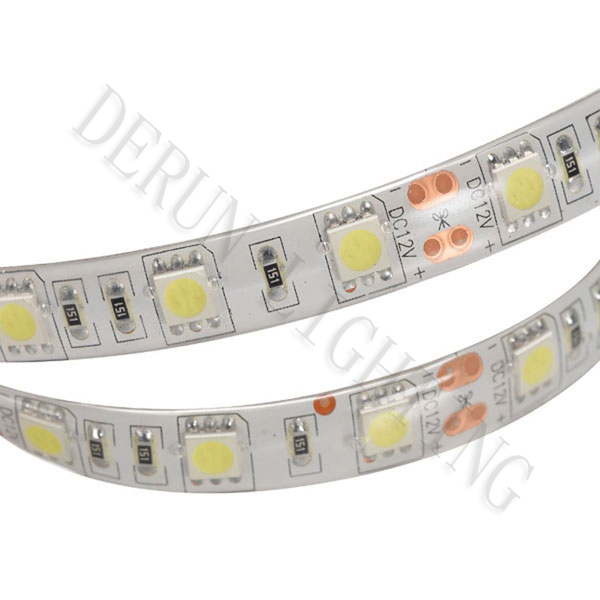 We also can offer silicon covering IP65 led strip, please email us for price if you need. 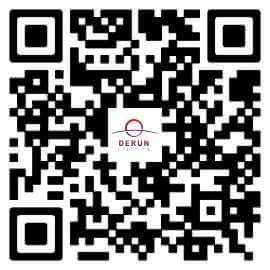 IP20, IP65, IP67, IP68 are available for your choice. 5.Operation low voltage (DC12V, DC24V) for humansafety, various colors available. 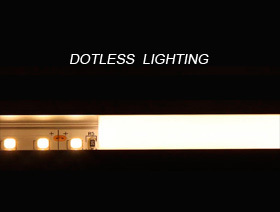 Linear LED Fixture;LED Retail Lighting.